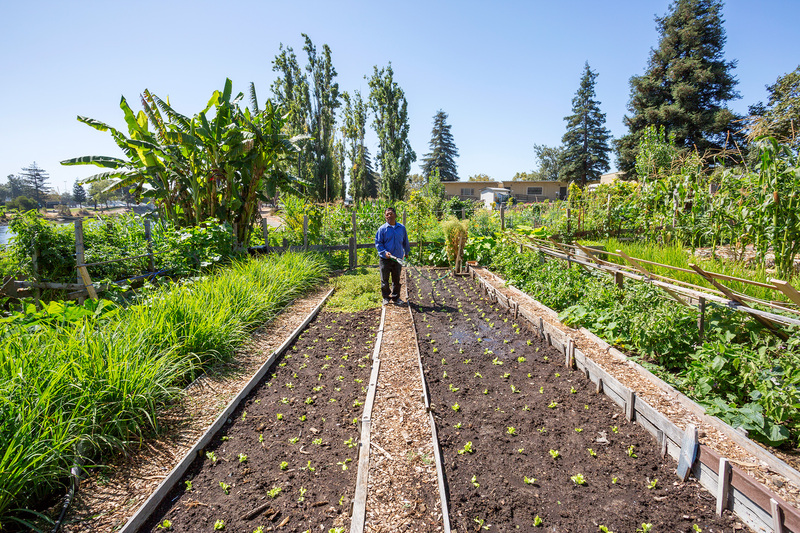 With the amount of urban farming that goes on in Oakland, one might not realize all the obstacles in play when setting out to grow one’s own food. As the Oakland Museum of California’s new exhibit “Take Root: Oakland Grows Food,” explains, soil contamination is a big one. And while urban gardens often thrive in vacant lots in other cities, the prohibitive cost of housing here ensures there are a lot less available citylots. The exhibit is not large, but any attempt to raise awareness about the many non-profits working to improve food access in food deserts – where grocery stores and farmers markets are largely absent – like East and West Oakland, especially given the proximity to one of the most vibrant food cultures in the world, should be applauded. The exhibit is housed in the natural sciences wing of the museum, and according to Seiter, food was a topic they had long wanted to explore. These interviews, while brief, give a good overview as to the “who” and “why” of Oakland residents growing their own food. “Aunti” Frances Moore, an original Black Panther and founder of the Self Help Hunger Program gives historical context, as food access in Oakland was an early initiative of the Panthers. Julio Madrigal, who works for Planting Justice, discusses how his planting a garden in his own East Oakland backyard greatly improved the health of his mother, Leticia, who was not eating healthy food simply because of lack of access. “Growing up, it was very rare that you would find a store, in a five-mile radius to where I lived, that actually sold anything that was organic or even fresh produce,” he said. Madrigal was introduced to gardening by a program at his school; his first bite of a freshly-plucked sugar snap pea changed everything for him, he said. While health reasons top the list of why people grow their own food, economic reasons play a big role as well. And for immigrants, there is the ability to grow the foods they grew up with, that they might have a harder time finding in a new country. “It is very important to be able to know the experience my parents had and carry it on in my generation,” says Mu Da, a farmer from the Karen tribe, who gardens at Lainey College. Having such a wide mix of immigrants from different cultures gardening together has another effect as well, says Zack Reidman, program manager of the New Roots Garden. “Immigrants bring their own knowledge and also learn from each other,” he said. 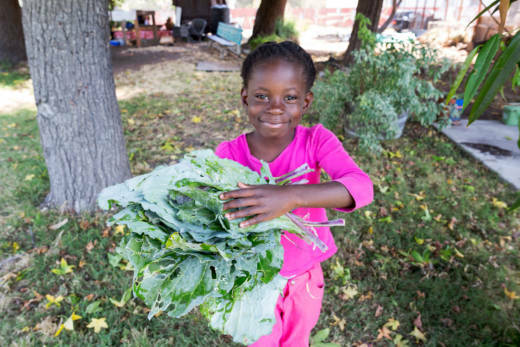 The resource section features books and materials about many of the non-profits working on food access in Oakland, for those interested in learning more. There is also a children’s play area, and a bit about a garden as an ecosystem. 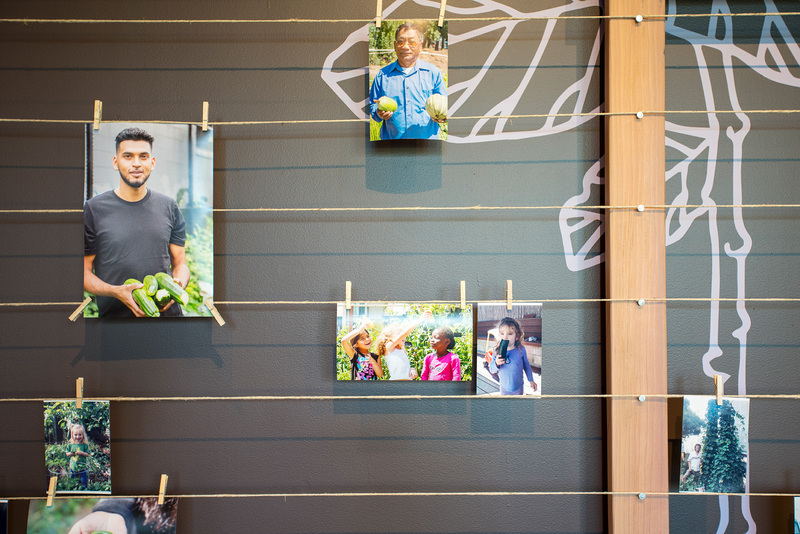 Finally, acknowledging that the exhibit couldn’t cover every non-profit or individual who grows food, one spot invites visitors to send in photos of themselves with their own gardens, or work they are doing to increase food access in Oakland. While the topic of growing food in Oakland is broad, and the exhibit is small, Seiter hopes that visitors will leave wanting to learn more. 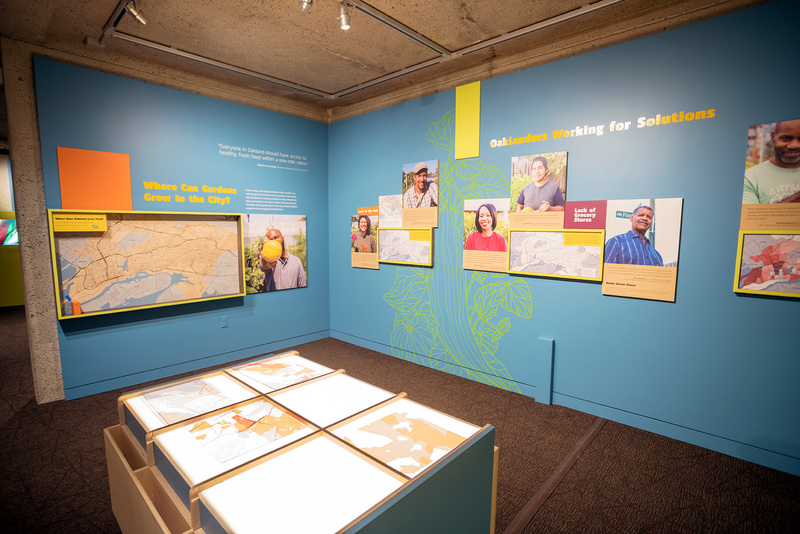 Take Root: Oakland Grows Food is on view in the museum’s natural science gallery until Jan 13, 2019.